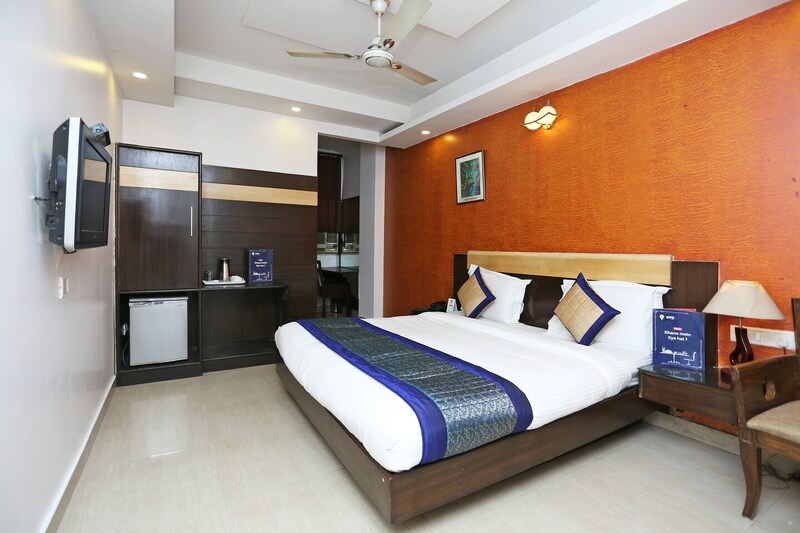 Hotel Maya Cottage is located in Paharganj In Delhi. It is in close proximity to the New Delhi railway station as well as Connaught place. Guests can easily visit Bangla Sahib Gurudwara, Shree Laxmi Narayan Temple, Jama Masjid and other such holy places. The monumental places include Ugrasen Ki Baoli, Red fort, Raj Ghat, and Feroz Shah Kotla.The hotel rooms' walls are textured in bright colours, and each room has a seating area for guests to meet and chat over a cup of tea. The hotel rooms offer air conditioning, television, free Wi-Fi, laundry and elevator service. The hotel has elevator for the guests. It also has CCTV cameras. Guests can visit various eating joints like Haldirams, Rituraj restaurant and Nand Di hatti.